It is high time for me to update you on what’s happening here in Nijmegen. As always, MindSonar Global has been busy. What have we been working on? First of all, there are the two ‘usual suspects’: user interface and new report. We have been working on those for years, and once more, we have come a little closer to finishing them. Although we made – as a temporary solution – a renewed, more visual report, we’re still working towards our ideal: the bullets-oriented digital-first report. Since the new report will contain an even more enormous amount of text in the background, our developers have made a link to Google translate so the bulk of the text is being translated automatically. We’re now developing in Dutch, Polish, Spanish, English, French and German. Of course these texts will be proofread by native speakers. The new user interface also contains the GDPR elements (explicit permission). I expect this user interface to be online pretty soon. Legally speaking we, MindSonar Global, are the ‘Data Controller’, because we are the organisation that gathers the data. The person who fills out MindSonar is the ‘Data Subject’ and you, the MindSonar Professional, are the ‘Data Processor’. So for us to comply with the European privacy laws, we will need to have a ’Data Processing Agreement’ with each of you. This will all work automatically (so you can forget about it, if you like). One day, fairly soon, you will go to your MindSonar dashboard to download profiles, and you will be presented with two legal documents. You need to agree only once. Once you have agreed, everything will go on as usual. You will receive a copy of the agreement and it will also stay available in your account information. Also, as soon as the new user interface becomes active, MindSonar will ask the respondent to agree to us processing their personal data (and passing the report on to you). This is another project that I have been tinkering with for years and that has now finally started happening. I made a benchmark profile for healthy thinking (thinking in an way that’s good for your physical health), based on a project I did many years ago with Robert Dilts. People now fill out a MindSonar for the context of ‘My health’. 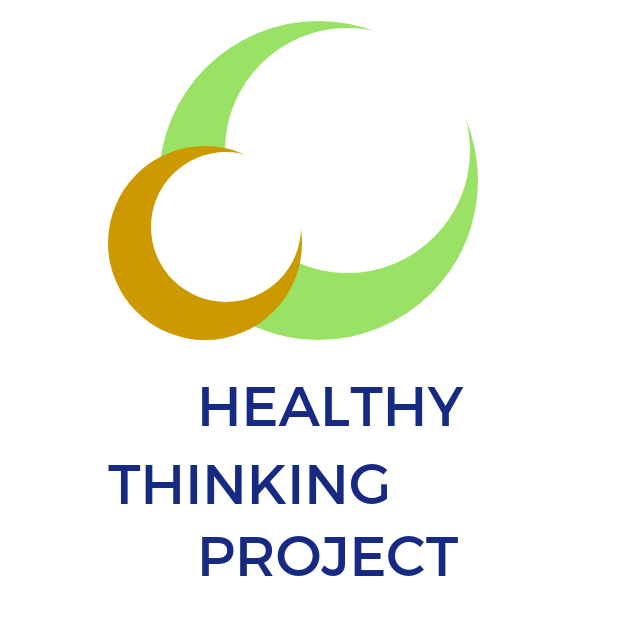 Their profile is compared with the benchmark and they receive a ‘Healthy Thinking Scan’-report, highlighting the differences between their thinking style and the benchmark. The scan is made automatically. We can check the report and when all looks well, we can automatically mail it to the respondent. At the same time, the respondents fill out a general questionnaire about their physical health. The beauty is, that as we are dispensing more and more free HT Scan reports, we are also gathering more and more data about the relationship between people’s thinking styles and their health. We will be refining and supporting our benchmark as we go. All this is still in Dutch now, but as soon as we have ironed out all the bugs (mixed metaphors…) we will offer this to our distinguished colleagues to repeat in other languages. Click on ‘Descriptions’ (in the download list where you download your profiles) you will get a description booklet. The booklet comes in .docx and .pdf format. The booklet will be in the language that was used in the report. If you used the Graves drives, the descriptions of the Graves drives will be added. If you had switched off the Graves drives, the booklet will have no descriptions of Graves drives either. If the profile was filled out by a woman, the gender specific symbols in the booklet will be female. If the report was filled out by a man, the symbols will be male. With this change, you now have the choice to add the descriptions to your report (as a separate document) or not. And of course, the MindGames deck has come out! All meta programs and Graves Drives on separate cards (professionally produced in heavy quality, thanks to Tomek Zawadzki). MindGames is a great tool for MindSonar professionals. You can enhance your training and coaching with it. The simple fact that all the meta programs and Graves drives are on separate cards, makes working with them more spatial and tactile. And the deck comes with 17 pre-structured games that you can use out-of-the-box. But many people have come up with new games to play with the cards. For an example, click here. Please note that MindGames is not intended as a board game for the general public. You need a basic understanding of MindSonar to play the games. You can order the deck right here. These are some of the highlights of the past months. Many other things happened. A big PR-campaign was negotiated in Poland, thanks to Tomek and JanDirk a new group of ICT developers started rebuilding the MindSonar system from the ground up – for easier and faster development in the future -, Jaime and Bianca did a webinar on the MindGames, we started up a study into a benchmark for quitting smoking, several MindSonar certifications started, JanDirk updated the styling of the MindSonar dashboard to fit in with the website, and so on and so forth. You’ll be hearing again from me pretty soon! P.S. The next MindSonar E-Summit will be in December 2018. We’ll keep it a bit shorter (fewer presentations) this time. Jaime suggested that people can say something about their MindSonar highlights looking back over 2018. Do you want to present? Please let me know. Prev:Developing marketing messages – could MindSonar help prevent this common pitfall?